Summer brings about enough things to think about—planning beach days, vacations, and weddings, all the while figuring out how to get to work and back again without melting entirely. Somehow, it's never as simple as we'd like. It’s the season that's associated with a carefree spirit, but often, in practice, summer gets bogged down with scheduling more than it does sunshiny bliss. Transportation, money, the works. To us, the easiest way to remain untroubled by it all is to cut a few things from your list of responsibilities. And because beauty is our passion, we know exactly how to simplify in the hair and makeup categories. Instead of dealing with complicated hairstyles and applying a full face of makeup just to sweat it off seconds after leaving the house, we devised a plan to forgo all the nonsense—save for a few easy-to-handle treatments and products that’ll last all summer. That’s right, do them once and you’re done. From eyelashes to brows and radiant skin to less fussy hair, find seven of our favorite summer time-savers and why we love them. The first time I had my eyelashes tinted, I couldn't believe the difference it made. My lashes are naturally blonde, so while I don't always feel the need to wear makeup, when I do, mascara plays a key role. From that, I always figured it was the lengthening, curling, and volumizing effects that made all the difference. Not so, I realized, after heading to Shen Beauty for a lash tint with its resident expert, Josh. I tinted my eyelashes an inky, blue-black shade, leaving every single baby hair accounted for and especially fluttery. I couldn't believe how much longer and thicker my lashes looked instantly, no mascara needed. Post-tint, I barely wear mascara and feel my best on the beach, in the pool, and walking down the street bare-faced. The best part? No more smudgy, sweaty product. 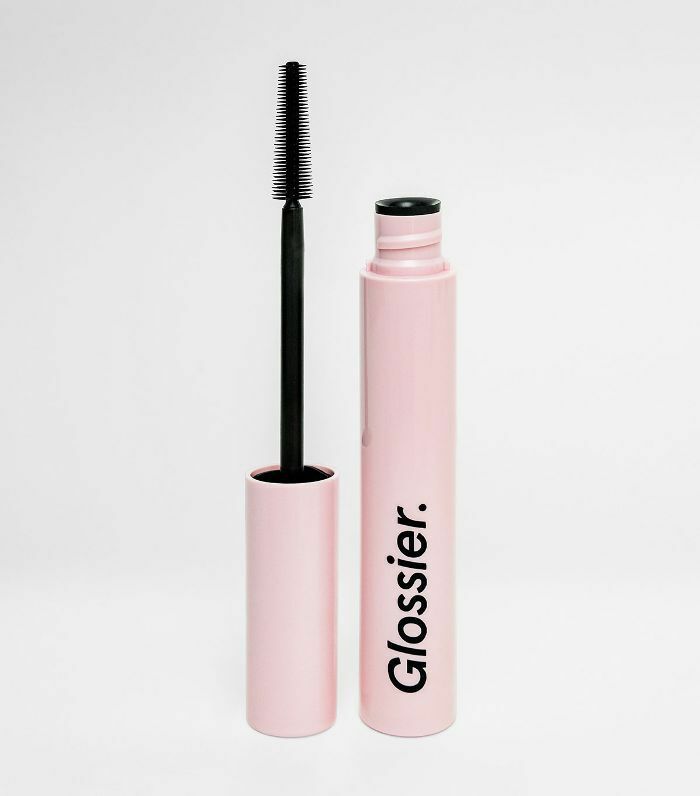 For those less inclined to try the professional tinting service, I've really been feeling Glossier's Lash Slick ($16). It's far less money, looks entirely natural, but stays on with zero clumping, smudging, or flaking—just like your natural lashes (but darker and more defined). "I have a love-hate relationship with lash extensions, but during the summertime, it veers much more on the 'love' side of the spectrum," says Byrdie Editorial Director Faith Xue. "I like to wear as little makeup as possible when it's hot out—for some reason, I just can't be bothered to apply my everyday eyeliner wing when the temps go over 80. The sad thing is, my own lashes are so straight and thin that without eyeliner, they're barely noticeable, even with mascara. Thus, eyelash extensions make it easy for me to still have the defined eye look that I like—and cut my morning getting-ready time in half." Though, if you're worried about possible lash damage or spending too much money on touch-ups, you can try a new at-home option called Lashify. "Lashify's founder, Sahara Lotti, was a lash-extension devotee like myself but was tired of going back for refills every few weeks and spending upward of $100 each time," says Faith. "She found a manufacturer in South Korea that was able to create the lightest, wispiest lashes on the market (seriously, they don't weigh anything), which she dubbed Gossamers. The thing that sets these apart is how light-as-air and realistic-looking they are. First of all, you apply these from below your lash line at the base of your lashes, so you literally can't see where your natural lashes start and the Gossamers begin. Second of all, unlike normal falsies, they can actually last three to five days, thanks to Lashify's 'fusing' technique. And lastly, they come in three different curls and lengths that all look freakishly natural and real." At first, I didn't think I could benefit from dying my eyebrows. I was blessed with a pretty thick pair, and my issue was never that they weren't dark enough but rather that the hairs were sparse in random places. Still, I tried it for the sake of it one day last year. After lash tints, there is absolutely nothing that makes me feel more "done" by doing nothing at all than a brow tint. It fills in your brows without ever having to lift another product. It gets every last tiny baby hair to instantly make your brows look thicker than before. It's quite honestly a magical treatment. After getting them tinted, I don't gel, fill, powder, or blend them for another month. It's the perfect summer accessory when you don't feel like doing anything at all. All it takes is 10 minutes in the chair and you're good to go. Tinting can very expensive, especially if you'd like to touch up your brows every month or so. "In my research," Victoria Hoff, Byrdie's wellness editor, says, "I've found that at-home brow tinting kits leave much to be desired—the shades are limited and tend to be overly warm in tone. So when I learned that some beauty fans swear by using beard and mustache dye, I was game to give it a try. That was a few months ago—and I've been hooked ever since. 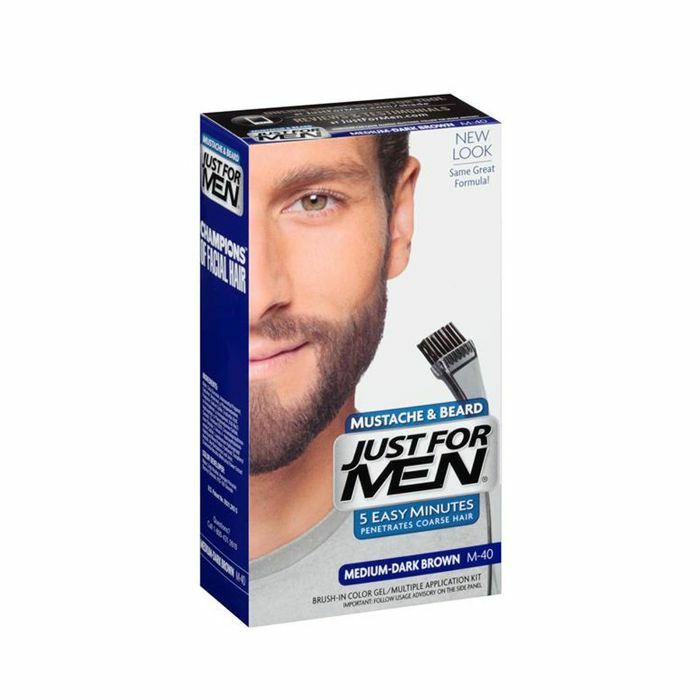 "I specifically use Just for Men Beard & Mustache Dye ($24 for a pack of three), which has a large variety of shades and happens to be extremely wallet-friendly. (I'm still on my first kit and have several uses in it left.) I also appreciate that there are conditioning agents in the formula, so it always leaves my brows with a glossy sheen. Oh, and it takes a grand total of five minutes." I was skeptical about how much of difference this device would actually make in the look and feel of my skin—until I tried it. It's an at-home dermaplaning device, which means it uses a small blade to painlessly exfoliate your skin while it removes dead skin cells and peach fuzz. Then, post-treatment, it enhances the efficacy of the skincare products that follow (because they're better able to penetrate your skin). I was shocked at the results. My skin was immediately brighter, more even, and my cheekbones looked more pronounced. I'm officially addicted and use it once a week to keep my skin looking good whenever I don't have time to apply makeup (or it's too hot to bother). Spray tans are my holy-grail treatment in the summer. I'm especially pale (and refuse to get any real sun after spending my teenage years in tanning beds) and they offer a natural-looking, healthy glow I can't possibly get any other way. The thing is, you don't have to be fair-skinned to benefit from them. 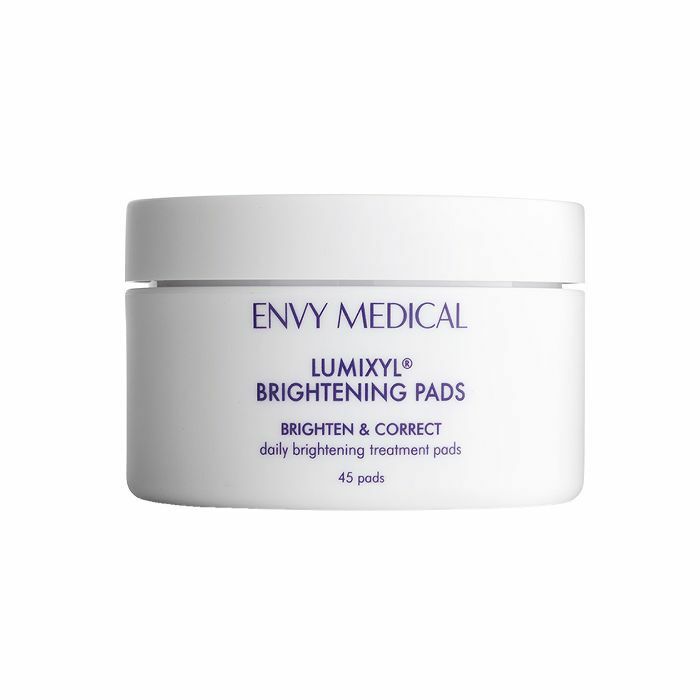 They cover any discoloration, spots, and even smooth out the appearance of stretch marks and cellulite. Not that there's anything wrong with those things, of course. Do you. But me doing me is getting a spray tan every few weeks. It's kind of like body makeup without the annoying application process. Post-tan, I know I'll feel good in whatever I put on and that's pretty much priceless (and makes more picking out an outfit and getting out of the house much less time-consuming). If you're not trying to spend money on a professional spray tan, you can do it yourself no problem. This new St. Tropez gem is quickly climbing the ranks of my absolute favorite offerings. I have a self-admitted spray-tan obsession, but my face always loses color before my body does (courtesy of my intricate skincare routine). This light, cooling, tropical-scented spritz remedies that. You can spray it on anywhere, anytime (no matter what you're wearing, as it's colorless), and the blend of natural tanning agents and hibiscus imparts a shockingly natural glow. I spray it on before bed, before a night out, you name it. It has never once looked anything but impossibly even and glowy. Dermalinfusion extracts dirt and debris found on your skin's surface and inside pores and also infuses the skin with condition-specific serums—all in a simultaneous action. "It's the precision timing of sloughing and serum infusion that ensures skin is at its peak moment to receive treatment from the targeted serums," says Sona Tolani of Envy Medical. The serums to choose from each have a specific skin concern in mind—brightening, hydrating, and pore-clarifying. However, you can customize your treatment by choosing two of the three based on your unique skin. The whole treatment took about 20 minutes and felt like a small, wet suction across my face. Afterward, the aesthetician showed me every last one of my blackheads floating in the machine's waste tube. Yes, really. Quite honestly, it was hard to look away. She handed me a mirror so I could inspect her work. My skin was smooth, shiny, clear, and completely even skin. In the following days, the results became even more noticeable. I was glowing. I didn't wear makeup for weeks and have been using this exact treatment in lieu of foundation for the entire summer. "My colorist recommended I try a Cezanne treatment in order to help rescue my dry, bleached-out hair," Victoria explains. "It's a natural and gentler alternative to a traditional keratin treatment, and the beauty of it is that it allows you to maintain some of your natural texture while eliminating dryness and frizz. I've had it for a week and I'm already in love. I still have some of my waves, but they're so sleek and soft and my hair now air-dries perfectly, sans frizz. I'm hooked." Nicole, Who What Wear's market editor agrees: "I have naturally super curly hair, but I love to blow dry it weekly. So, I've been doing various treatments (including Keratin and Brazilian blowout) every six months or so for almost 10 years to make my hair easier to style myself. About a year ago, I tried Cezanne at the Nunzio Saviano Salon after hearing that the relatively new treatment was 100% formaldehyde-free, but with similar results. I was skeptical, but figured I had nothing to loose since the application process is relatively similar to other things I've tried. "Luckily, I've been tremendously happy with the treatment and even repeated it months later instead of going back to what I'd done in the past. While the straightening effect is not as strong as some others, it is just as good as managing frizz, and seems to leave less of a residue on your hair afterwards. Those things, coupled with the fact that it has less harmful chemicals in it have converted me for life." FYI: These are the best skin-smoothing, glow-inducing products Sephora has to offer.